Seeking a dentist in Brampton? 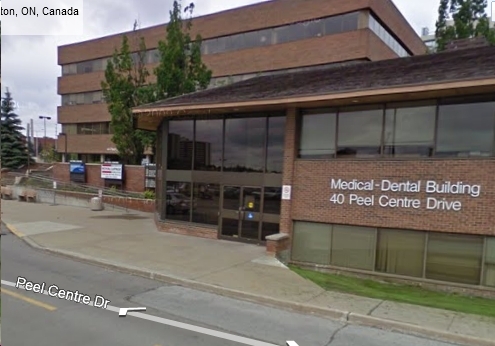 One of Ontario's leading Cosmetic Dental Practices based in Central Brampton.If you are looking for dentist in Brampton and you really want great service and value for money, come and visit us at our Bramalea City Centre location dental practice. We offer consultations which will cover all of your dental needs, so that you leave us with a sparkling healthy white smile and a sensation in your mouth that says fresh and clean. You will immediately feel at home in our bright, up-to-date office where you will be met with warmth and friendliness from all our staff from the moment you first walk through the door to the time you leave. Courteousness and understanding are our watchwords and your comfort and peace of mind are our aims. Your happiness at our service will be demonstrated by the bright, white smile you will be unable to avoid exhibiting as an advertisement of the attention of the best dentists in Brampton. Dr. Mistry and her team strives to educate patients in all aspects of their oral health as well as she and her team practise minimally invasive dentistry; pre-treatment assessment and post-treatment care are handled with the same skill and attention as the dentistry performed. Moreover, treatment is carried out with the minimum of discomfort in the shortest time practical. Controlled sedation is offered as methods of relaxation during treatment, and short turn-around times are available for dental products such as crowns and veneers. Dr. Mistry and her team has a reputation, not only for working her magic with cosmetic dentistry and creating beautifully flawless smiles but also for her relaxed and informal approach which puts many nervous patients immediately at ease. The level of cosmetic dentistry provided is unparalleled and comparable to the best available anywhere else in Brampton. Our office is conveniently located in the heart of Brampton right besides the Bramalea city centre mall with easy transit accessibility from all across brampton. Sit back and relax in our plush treatment chairs and watch your favorite T.V. show or listen to music or cuddle up with a warm blanket while we take care of your smile. We accept most insurance plans and can electronically file for your claims for fastest and easiest processing. To help relieve your comfort as soon as possible, we strive to see our clients the same day for dental emergencies. Although our expertise is in the art of cosmetic dentistry and transforming smiles we pride ourselves on providing high quality general and family dental care. We utilise the latest state of the art technology and the finest materials to look after your every day dental needs. If you are looking for a Brampton dentist for general dental care, then why not give you and your family the very best that they deserve. Regular check-ups and hygiene appointments are key to our preventative plan to help keep your teeth and gums healthy for a strong foundation. We treat all aspects of dentistry.